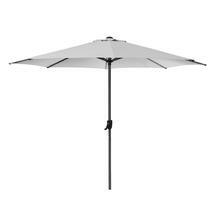 Contemporary, stylish lightweight 3 metre parasol with crank handle. The Shade hexagonal parasol is an excellent size where you are need shade over large dining tables or large patio areas. 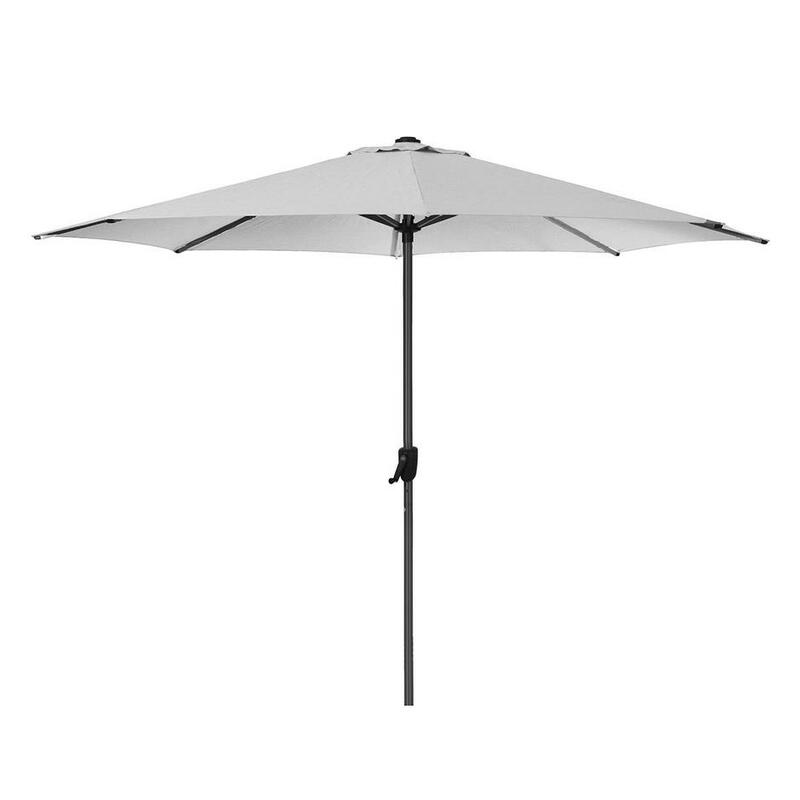 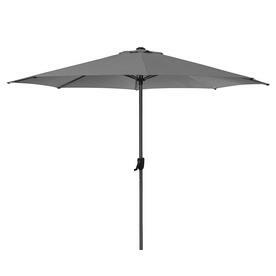 This classic parasol comes in either dusty white or anthracite 100% Olfin all-weather fabric. 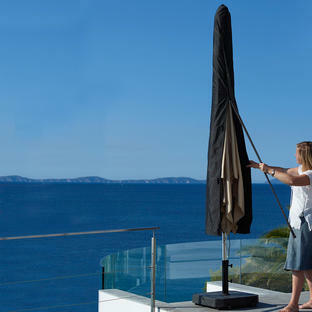 This parasol is not suitable in heavy winds. 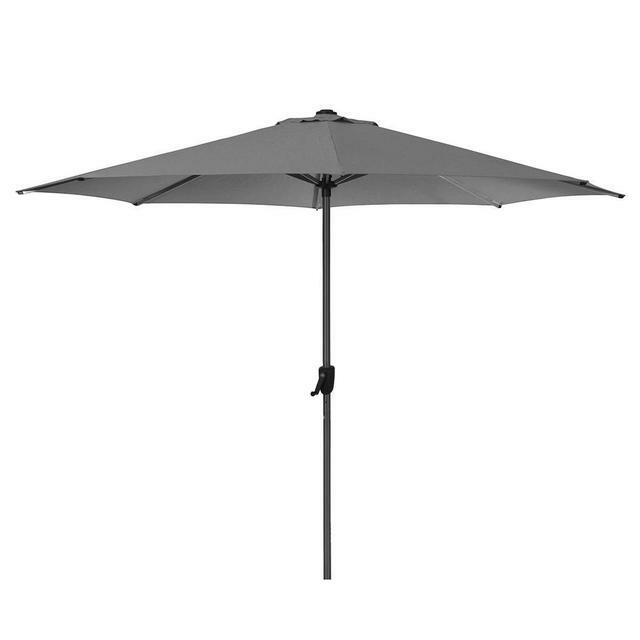 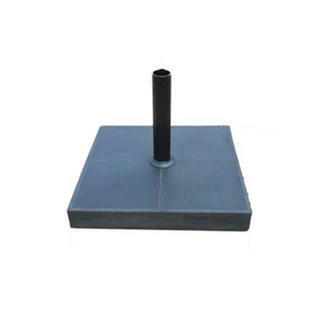 The parasol is opened and closed using the crank handle. 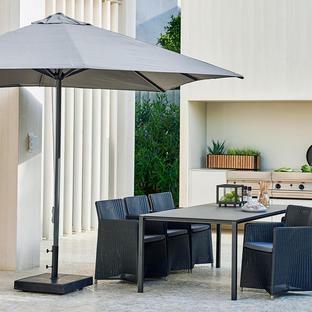 The parasol fabric is made from 100% Olefin, a durable, strong fabric with good colour fastness and resistance to staining and fading from sunlight.